Since 2009 Creative Industries Styria organizes Designmonat Graz and celebrated its 10th anniversary in 2018. In total 358 companies and design labels showed their products and projects in all their facets during Design Month Graz 2018. Within 30 days, a total of 100,000 visitors were counted, including events, presentations, lectures, workshops and guided tours, most of which took place in Graz but also outside of the city. Founded in 2007 as a network society of the Province of Styria, Creative Industries Styria consider themselves as bridge builders and a network authority between the creative industries and the traditional economy that aims at improving and extending the efficiency and performance in the market for both sides. Creative Industries Styria have profound knowledge of the Styrian creative scene and best contacts to the traditional economy. Thus, they can precisely identify and de ne the need for and the regional availability of creative services. In 2016, the Ministry of Economics presented the first national Austrian strategy in terms of creative industries. It mainly puts a strong focus on the innovative and transformative force of the creative community, which means that the creative industries have a great transforming impact on the different fields of the classical economy – especially on the core areas of mobility, health, and green tech – by supporting indispensable innovation. All products, processes and services that are innovative, efficient and future-orientated are characterized by design and usability. Thus, one of the essential aims of this strategy is to strengthen this transforming effect on other economic sectors, public administration and society in total, which means to provide incentives for crossover effects between the creative industries and other business sectors. At the same time they want to increase the knowledge and the awareness of this potential for transformation and the contribution of the creative industries to society or the economy as a whole. Three strategic areas provide the framework for the activities of Creative Industries Styria: Awareness & Location, Impulses & Projects, and Network & Service. Within these focal points, Creative Industries Styria work externally for the companies and internally for the creative scene, with the goal of optimizing the factors fostering a faster development of the enterprises coming from both sectors. Doing so, they assume the role of a double ‘missing link’, namely the very link which the chain as a functional whole could not do without. The first interface is the one between creation and production: an exchange between the creative industries and the classical economy takes place, which Creative Industries Styria mediates and accompanies. Significant topics are projects for ‘Design Transfer’ and formats with the focus on ‘Design to Business’. Creative Industries Styria create the second connection between products and distribution: they analogously and digitally use their net- work of people, medias, and locations to make Styrian products and services globally well-known and help sell them. The focus is always the economic success of the companies with creativity acting as the booster that speeds up strategic development processes and the positioning of the businesses. In the end, ideally, there are successful partnerships and best-practice examples, which should encourage other companies to include creativity and design in their corporate activities as well. 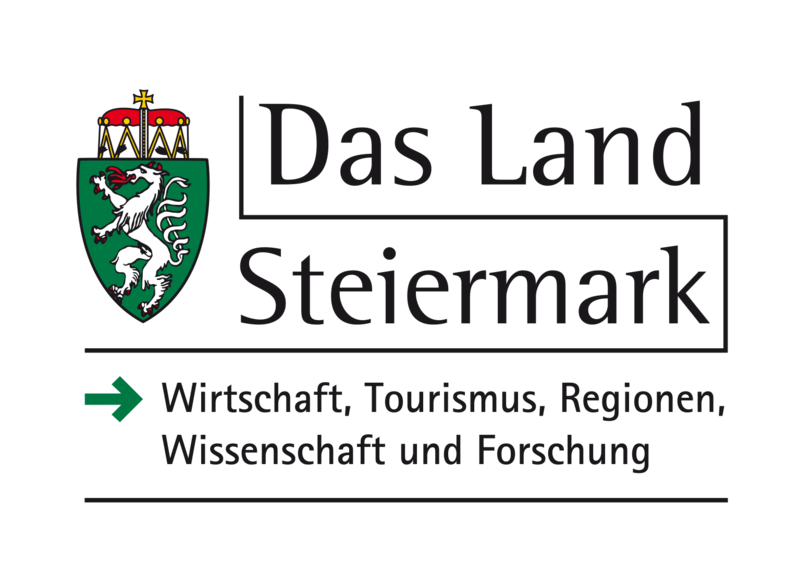 In accordance with the first national Austrian Creative Industry Strategy of the Ministry of Economics, the Styrian Government have realized that the creative industries and their diverse services are a core competence and key potential that strengthens the urban, peripheral and rural regions of Styria and improves the Styrian profile. The duties of Creative Industries Styria are to empower and expand Styria and position it in the overall context of Styrian economy. They act as mediators and contacts, and link creative companies with those, who are interested in cooperation with enterprises of the creative industries. That way they create synergies with positive effects on the entire economy. Innovation processes of companies are directly linked to creative industries, for example through the factor ‘design’ being a missing link between the idea and its implementation. Further, the activities of Creative Industries Styria raise awareness of the value of creative services in general. The transforming effect of the creative community on different fields of classical economy constitutes an important part of the first Austrian Creative Industry Strategy of the Ministry of Economics. Due to their manifold B2B selection, Creative Industries Styria create a key tool to unfold these forces. According to the motto ‘Design Transfer’ they offer a roadmap displaying how design opens up new perspectives in economy and creates specific products and services. That subsequently bene ts the overall economic efficiency and provides prosperity, jobs, added value as well as locational advantages for an innovative, creative region. It is Creative Industries Styria that bring together all the information necessary for complex linking. The master data of the Styrian creative scene are gathered on the website of Creative Industries Styria, where they form an increasing unique data pool. A big range of programs and projects systematically link the single players. Due to effective tools, trend analysis can be derived from the data, which show important impulses for the further development of creative and economical potentials. Creative Industries Styria continuously develop new formats for projects and events to offer a proper stage for creative professionals as well as companies to present their achievements and intensify the cooperation with the classical economy. This way, Creative Industries Styria really follows the guidelines of the first Austrian Creative Industry Strategy: recognise transformational forces and implement them effectively, create synergies, support innovation.